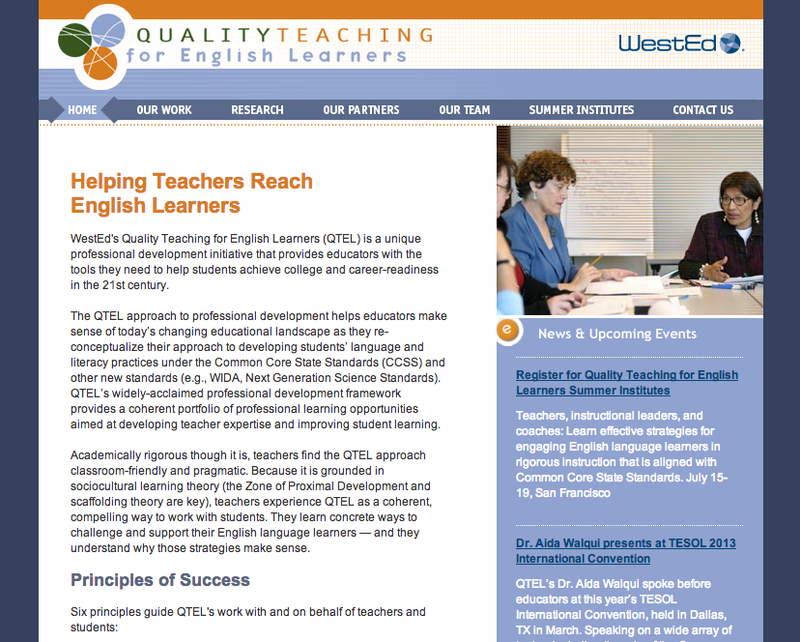 The Boston Compact selected WestEd’s Quality Teaching for English Learners (QTEL) as a partner in the effort to transform education opportunities for English language learners. This initiative provided a unique opportunity to engage in a large-scale, collaborative change effort with 22 Boston public, charter, and Catholic schools. 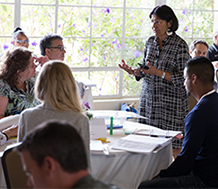 Part of a larger endeavor to better serve traditionally marginalized populations, the initiative prepared teachers to help English language learners develop the disciplinary and linguistic practices needed to meet the demands of 21st century learning standards. To effect long-term, citywide impact resulting in increased education quality, rigor, and achievement for English language learners, QTEL targeted professional development and capacity-building efforts for teachers, peer coaches, and instructional leaders. Differentiating learning opportunities at multiple levels ensures sustained, whole-school change in instructional practices and outcomes. More than 130 teachers and leaders in 22 schools participated in foundational, discipline-specific, and leadership-focused professional development, potentially impacting approximately 6,700 students. More than 20 teacher leaders in 11 schools participated in in-depth professional development for peer coaching. Participants reported gaining practical strategies to support their students’ linguistic and disciplinary development. Principals reported observing changes in classrooms that include increased linguistic focus and student interactions. Be sure to visit http://qtel.wested.org/ to learn more about our work and latest developments. Support the conceptual, academic, and linguistic development of English language learners.